Do you have a Nordstrom in your city? If yes and you do shop there, you may want to consider joining their store loyalty program. With over 330 locations, Nordstrom has become a leader in department stores across the United States. They also made over 14 billion dollars in 2015 from people just like you and me. And to keep their customers loyal and keep coming back, they created Nordstrom Rewards, a loyalty program that rewards their shoppers. This rewards program offers great savings, offers, and other great promotions for its users. 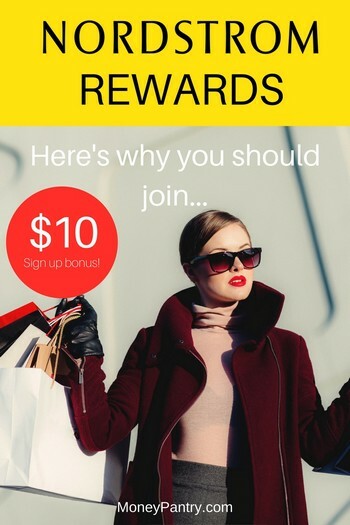 Here is a quick review of Nordstrom Rewards and what you need to know to get started. It is basically like any other store reward program. You earn points for shopping with them. You can then redeem your points for Nordstrom Notes which you can use just like cash to purchase anything at Nordstrom, Nordstrom Rack, or Hautelook locations. This is a great way for the company to show appreciation for its customers as well as bringing in some extra business. It helps you by giving you a way to save money just for shopping. Nordstrom Rewards offers a couple of different ways to take part in their program. To join as a member, go online and fill out the application. The application takes just a few seconds for basic membership. You will then have to confirm your cell phone number with a text message. A code will be sent to your phone via text. You will then re-enter that code on the website to confirm your number. After cell phone number confirmation, the number becomes your account number. You will use this number when making purchases so your points show up in your account. When you go to check out in the store, your cashier will ask you for the number. When making purchases online, be sure to fill in the blank when it asks for your account number. Be sure to give the number in both cases. It’s very hard to receive points once a purchase has been finalized if you haven’t attached your account to the purchase. The application for Cardholder status can be expected to be just like any other credit card. An application must be done and you must be approved for the Visa Credit Card. You don’t necessarily have to be a member to become a Cardholder but you might as well join as a member when you fill out your card application. Once you have been approved, you can use your card at any Nordstrom, Nordstrom Rack, Hautelook, or Trunk Club (not available to basic members). At nordstromcard.com, you can activate your card, change your personal information, check your statements, and make your monthly payments. Also, as a cardholder, you can earn points for every dollar spent with another company that accepts Visa credit cards. This could be anything from gasoline to groceries and clothes to catnip. After you have been approved and receive your card, if you spend $100 (earn 100 points) you will receive a $20 Note for joining. This must be done the day of approval. It may be wise to wait and apply when you have something to purchase or you know you have an extra $100 to spend. There are also four levels which you can be part of as a Cardholder. All card members start off at level one. Level two is reached by spending $2,000 a year. Level three is achieved by spending $5,000 a year. To get to level four you have to spend at least $10,000 a year on your card. Of course, with each level you will receive double points for every dollar spent as well as access to bonus points, early access to anniversary sales, as well as Triple Points Days (one per level i.e. one day a year for level one and four days a year for level 4). Triple Points Days are an opportunity for you to make big purchases on a day of your choosing and earn big points. Rather than having to spend $1,000 to receive your money-saving opportunity, you will only have to spend $334. Starting at level two you get access to shop on holiday point events which will take place towards the end of the year. At level 3 and 4 you also have the opportunity to take part in an Extraordinary Experience, the details of which have not been confirmed. At level 4 you get access to VIP experiences (spa day for you and a guest or a dining experience for you and up to three guests. You have to give the company at least three weeks notice so they can plan your VIP experience), and every June you can shop early for the Anniversary sale (one day before all other members). Another benefit for cardholders is the alteration program. With each level (1-$100, 2-$200, 3-$300, 4- unlimited amount) you can have clothing altered and be reimbursed for your purchase. Be sure to purchase clothing AND the alteration with your account number. Notes will be given as reimbursement so the company has to know which account to credit the Note to. Once you have joined either as a member or as a Cardholder you begin collecting points. With a basic membership, you earn one point for every dollar you spend. As a Cardholder, you earn two points for every dollar spent at Nordstrom affiliates and one point for every dollar spent with the card outside of Nordstrom. There is no limit as to how many points you can collect. Once you have 2,000 points, you may turn them in for a $20 Nordstrom Note. These Notes may be used on anything in the store, including any restaurants, wedding registries, or even spa days! Be weary–points can expire after three years of inactivity on your account or if your account is closed for any reason (failure to make two monthly payments in a row as a Cardholder or forgetting you have points before canceling your membership). If you have confirmed your cell phone number, Nordstrom will automatically send you your Note via email. If you are wondering why you haven’t received your Note after earning 2,000 points, the most common problem is you haven’t confirmed your number. You can either print off the email and take it to the store with you or you can show the cashier the email on your phone when you go to check out. For purchases made online, you will have to enter the code that came in the Note email to receive your money off. Now, these Notes do expire but you have an opportunity to save your money if you aren’t ready to use it. As long as it is before the expiration date of the Note, you can have a cashier put your $20 on a gift card so you won’t lose your savings. Or purchasing a pair of shoes at a Nordstrom Rack store. All of these options are available to you when using a Note during checkout. It should be noted that even though Cardholders can earn points at Trunk Club, at this time no Notes may be spent there. You cannot transfer points between accounts, share benefits with friends or family, or use multiple accounts to gain points. Keep this in mind as you get closer to earning your reward- you won’t want to lose it if you have nothing to purchase after you earned the reward. From time to time, the company runs a promotion where they give you $10 for free just for joining the reward program. For example, in 2017 they were offering a $10 Promotional Certificate to shop the Nordstrom Anniversary Sale which took place from July 21st to August 6th, 2017. At the time of writing this review (March 2018), there hasn’t been any similar offer. You may want to wait to join until they host one of their $10 for joining promotions. 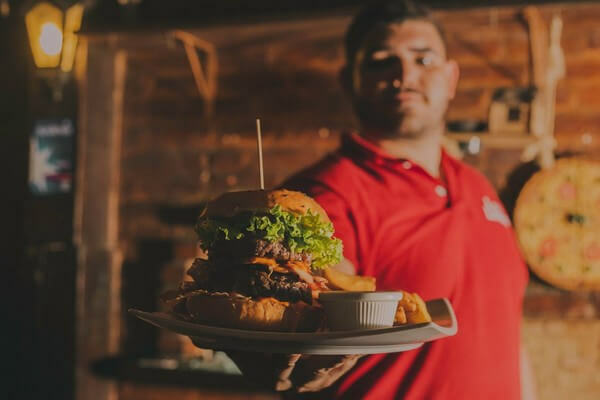 Generally, towards the end of the year, they will send you a $10 gift certificate just for becoming a member or $20 for becoming a Cardholder. This gift certificate will expire at the end of the year that you joined (you may only have 30 days or so to use it) but it is still free money. There are a ton of benefits to becoming a member but you may still be debating whether it’s a good fit for you or not. If you shop at Nordstrom at all, it’s a great idea to become a member. Free to join, easy to maintain, and relatively easy to get rewards. Interest rates on the card are based on your credit score. Some users report paying around 15% interest while others have to pay 24% interest. This all depends on your credit rating. There is no annual fee so as long as you can pay for your purchases before you accrue any interest there is very little to worry about. If you think you might have problems keeping up with the interest finding a card that doesn’t earn you points but has a lower interest rate may save you money in the long run. 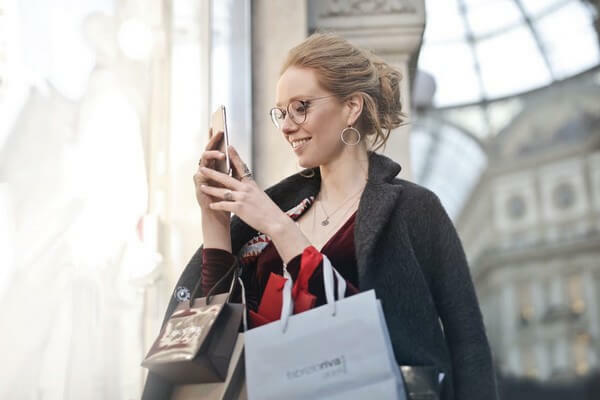 Even though the points system is a great way to reward you, there may be a better card to match your spending habits other than a Nordstrom card. The alteration system and bonus points (events or Triple Days) are nearly unmatched in retail. This alone can save you $100 a year just for being a level 1 Cardholder. Not only will you be earning 2% cash back at Nordstrom, you will also be earning 1% on everything else you buy with your card. That being said, if Nordstrom isn’t a highlight of your shopping experiences, finding a card with higher payback rates might work better for you. For those big purchases, Cardholders have a chance to reap huge benefits. By using a Triple points day your payback jumps to 6%!! Also, if you love a good sale, becoming a Cardholder will get you early access to those big sale events. What it all comes down to is just how much you think you will benefit from becoming a Cardholder. If you feel like you aren’t getting enough out of your experiences, weigh the options and give it a try. With no application fee and no annual fee, even if you don’t use it that often, a Nordstrom card may pay off for you. Nordstrom is a huge retailer that isn’t going anywhere anytime soon. With their Nordstrom Rack and Hautelook stores, they are reaching new customers every day. If you do any shopping at all with them I highly recommend you join the program. Free and easy, it’s a great way to earn rewards for shopping. Becoming a Cardholder offers great opportunities that few other retailers are offering today. At the very least, I would say join the basic Nordstrom Rewards program so you can get something back for shopping at the stores.